There are very few things that extremists of the right and left can agree on. One rare topic on which they tend to see eye-to-eye is criticism of Israel. Although the right and left both tend to dislike the Middle Eastern democracy, they do so for different reasons. Over the last few months, I became aware of a theory being propagated on the right that holds that the Israelis are not really Jewish. If that statement has you scratching your head, then you know exactly how I felt when I first heard it. The theory holds that modern Jews (and Jewish Israelis) are not descendents of the Biblical Jacob (Israel), but are of European stock, and therefore are not a party to God’s promises to His Chosen People. According to the theory, the Khazars, a nomadic Eastern European people, converted en masse to Judaism over a thousand years ago. These new Jews supposedly became the basis of the reconstituted nation of Israel. If this is true, so the thinking goes, the new Khazar Jews are not of the direct bloodline of Jacob, and therefore are not heirs to God’s promise. Going further, many proponents of the Khazar theory believe that all Jews, since they have not accepted Jesus as Messiah, have forfeited God’s promise and that Christians, specifically America, have assumed the mantle of God’s Chosen People. Without getting too deeply into the Biblical argument (which I addressed in an earlier blog: http://www.examiner.com/x-11781-Carroll-County-Conservative-Examiner~y2010m4d1-Israels-fall-and-redemption), is there any historical basis for the claims about Khazaria? As with many conspiracies, there is a grain of truth at the center of the conspiracists’ claims. My first instinct was to assume that Khazaria was pure fantasy, but it did exist. Although the origin of the Khazars is unknown, there is ample archaeological evidence from a variety of sources that Khazaria did exist as a nation of nomadic Turks in central Asia, covering parts of the modern nations of Ukraine and Uzbekistan. The history of Khazaria runs from about AD 550 until the 11th century (http://www.khazaria.com/khazar-history.html). A lasting legacy of the Khazars is the battles they fought against Muslim invaders that ultimately prevented Eastern Europe from becoming part of an Islamic caliphate. It is also true that the Khazars did allow Jews to settle within their borders (http://www.doingzionism.org.il/resources/view.asp?id=140). In fact, Khazaria was a center for religious tolerance at a time when religious persecution was the rule. For example, the Khazar supreme court was composed of representatives of the major religious groups of the day: Christianity, Islam, Judaism, and pagan. Given the historical persecution of the Jewish people, it is no wonder that many of them chose to immigrate to Khazaria. There is also evidence that the royal family of Khazaria did convert to Judaism at some point after AD 740 (http://www.doingzionism.org.il/resources/view.asp?id=140). The extent of the Jewish conversions is disputed. Some believe that the Jewish community consisted primarily of the Jewish immigrants and the royal family. Others believe that the conversions were more widespread. Whatever the extent of the conversions, it is apparent that large communities of adherents to other religions remained. The charge that the Khazars became the Ashkenazi is more difficult to substantiate. In fact, genetic testing of Jews and other Europeans seems to indicate the opposite. Genetic testing of y-chromosomes has indicated that Jews from Europe, North Africa, and the Middle East all share common genetic markers. This indicates that they are descended from common Middle Eastern ancestors (http://www.ncbi.nlm.nih.gov/pmc/articles/PMC18733/?tool=pmcentrez). In a different genetic study, more groups were tested. Ashkenazi, Sephardic (literally “Spanish”), and Kurdish Jews were tested against various Arab and European samples. The genetic samples of the Arabs and Europeans clustered in separate groups. On the other hand, “neither Ashkenazi Jews nor the two Sephardic samples clustered with their former host populations (non-Jewish Eastern European, Iberian, and North African populations) (http://www.ncbi.nlm.nih.gov/pmc/articles/PMC1274378/). In other words, two separate studies show that the Jewish populations that lived in Europe remained genetically distinct from the local Europeans. This would indicate that the local Jewish populations in Europe did not generally intermarry with the indigenous Europeans. It would also mean that the Ashkenazi Jews are descended from the Jews of Israel, not the Khazars of the Caucasus. Additionally, from ancient times Judaism has accepted converts and assimilated them into Jewish society. Ironically, or perhaps through God’s Providence, while I was writing this article, I was delayed at airport with a Jewish woman who was also an anthropology major. While we waited, she confirmed the legend from Jewish antiquity of the Khazar king who converted to Judaism. She also confirmed that converts had historically been welcomed into the Jewish community. However, she had never heard the theory that the Khazars supplanted ethnic Jews. On the other hand, the intermarriage between the Jewish and gentile communities has historically been limited. It has only been in the last two hundred years that Jews have begun to assimilate more into gentile culture. 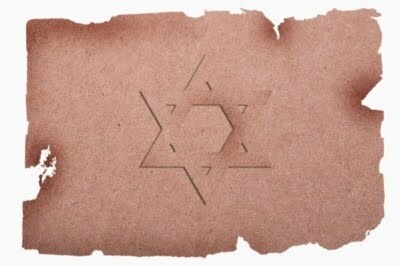 Limited intermarriage and conversion of a relatively small number of native Europeans to Judaism would explain the minor variances between Ashkenazi and Sephardic Jews. Furthermore, even if the conspiracy mongers had been correct and the Khazars had converted en masse to Judaism and immigrated to the Middle East, ultimately ancient bloodlines have no bearing on modern geopolitics. The truth is that the Jews never totally left the area that the Romans designated Palestine. When the British won the area from the Ottoman Empire in WWI, Jews were already there. Likewise, when the British turned Palestine over to the United Nations to implement a two-state solution, many of the people in the new nation of Israel had lived in Palestine all their lives and their families for generations (http://captainkudzu.blogspot.com/2008/06/brief-history-of-modern-state-of-israel.html). Modern Israel was not founded on an ancient claim to the land from a displaced people. Exiled and conquered Israelites had no more of claim to the land than the American Indian has to the island of Manhattan or Mexico to the American southwest. Israel was founded on claims by Jews who lived in Palestine. The Jews who live there today have the same claim to their property that Americans have to their own homes. The theory of Ashkenazi Jews originating from the Khazars seems to have originated with Arthur Koestler, a Hungarian Jew and author. His book, The Thirteenth Tribe, advanced the theory that the Ashkenazi were of Turkic origin in an attempt to defuse anti-Semitism. Koestler reasoned that if the Ashkenazi were not ethnically Jewish, it would remove many of the reasons that people hated them. For instance, if they were not descended from Middle Eastern Jews, the charge that the Ashkenazi were “Christ killers” would be baseless. Koestler did not foresee that his theory, now thoroughly disproven, would be used by anti-Semites to foment further hatred of Israel and the Jews. The story of Khazaria was co-opted by anti-Semites and white supremacists as a justification for their hatred of Israel. Exercise caution and prudence if you see or hear someone espousing the Khazar conspiracy. As with all conspiracies, know your source and consider whether other things that they say are truthful. As Daniel Patrick Moynihan said, “Everyone is entitled to their own opinion, but they are not entitled to their own facts.” The facts of the genetic tests are incontrovertible evidence that the Khazar conspiracy is a lie.